Simple Healthy Recipes will continually be added to this page so keep checking back for more fabulous, delicious ideas for healthy eating! It may seem odd to add greens to a fruit smoothie but spinach adds very little flavor but contributes a lot of nutrition! Children love this smoothie! 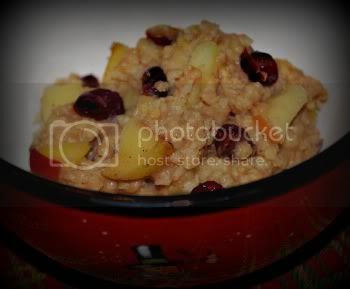 You can add any fruit you like to create your own simple healthy recipe in the morning. If you use low sugar fruits like peaches or berries you will need a couple dates or stevia to sweeten it up a bit. This is a gluten free, quick, healthy breakfast with a crunch! Throw out the processed cereals and enjoy a bowl of fruit and buckwheat for breakfast. Delicious. Yams are packed with nutrition and very satiating for breakfast. I keep a few baked yams in the fridge so they are quick to grab and go. Breakfast should be quick, simple and easy but it should also pack a powerful nutrition punch as well. Healthy eating does not have to be expensive or time consuming, it just takes some creativity. Boxed cereals are not healthy, even those that claim to be whole grain. They are highly processed and a far cry from the whole grain they once were. In order to truly move toward a healthy diet you have to move away from the box and toward natural foods in their whole intact state. Millet and quinoa cook up in about 15-20 minutes. Grains that take longer to cook can be cooked and stored in containers in the fridge for a quick simple and healthy breakfast all week. Mix fruit with your grains for breakfast. Fruit is packed with antioxidants, vitamins and minerals and is excellent for quick energy in the morning. Check out the fruit nutrition facts page for more information on fruit as a part of a healthy diet. 1 pkg of whole wheat spaghetti, angel hair, fettuccini or your favorite pasta cooked according to package directions. This is an AMAZING pesto, absolutely delicious. Place all pesto ingredients in food processor and process until finely ground. Pour over pasta and mix well. Blend all ingredients, except poppy seeds, until creamy. Stir in poppy seeds. Toss all salad ingredients in bowl and top with poppy seed dressing. Creating simple healthy recipes for lunch is a snap! You can prepare a salad with some canned beans on top in a few minutes. Whiz up your own simple healthy salad dressing recipe without added oil and you have a meal. The sky is the limit when it comes to creating simple healthy recipes for sandwiches. Any combination of hummus, vegetables and leafy greens and you have a delicious simple healthy lunch. food process lentils and oats until finely chopped, pour into a bowl and stir in BBQ sauce. Serve on whole wheat bun with salad. Steam carrots in 1/2 c. vegetable broth for about 10 minutes or until softened, add remaining ingredients and sautee until softened and bright in color. Do not over cook. Combine sauce ingredients in a bowl, whisk with the fork until well combined. 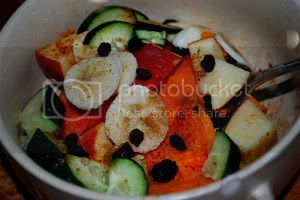 Pour into vegetable mixture and heat until sauce thickens. Serve over brown rice or whole wheat pasta. Absolutely amazing!!! This is a family favorite and definitely a crowd pleaser. Blend all ingredients except poppy seeds until creamy. Stir in poppy seeds and set aside until salad is assembled. Toss salad in a large bowl. Top with tempeh and poppy seed dressing. 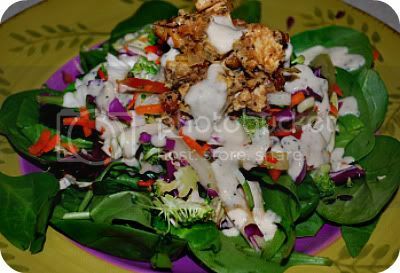 Sautee until sauce thickens and tempeh is slightly browned.Toss all salad ingredients together with dressing and serve. Dinner shouldn't be a fat laden, heavy meal. Dinner is eaten at the end of the day when you are winding down and will not be burning as many calories. Enjoy simple, whole food, healthy dinner recipes and notice the increase in energy, health, vitality and of course amazing weight loss that will happen. You can create your own simple healthy recipes by combining basic sauces and whole foods. Short on time? Use the instant brown rice found in the grocery store that cooks up in 10 minutes! Short on money? Walmart has bags of brown rice for .99! There is no excuse for not eating healthy. During the winter months soup and stews make up the simple healthy recipe collections. Soups that contain beans and vegetables are nutrient packed and simple to prepare because they require minimal cooking time.